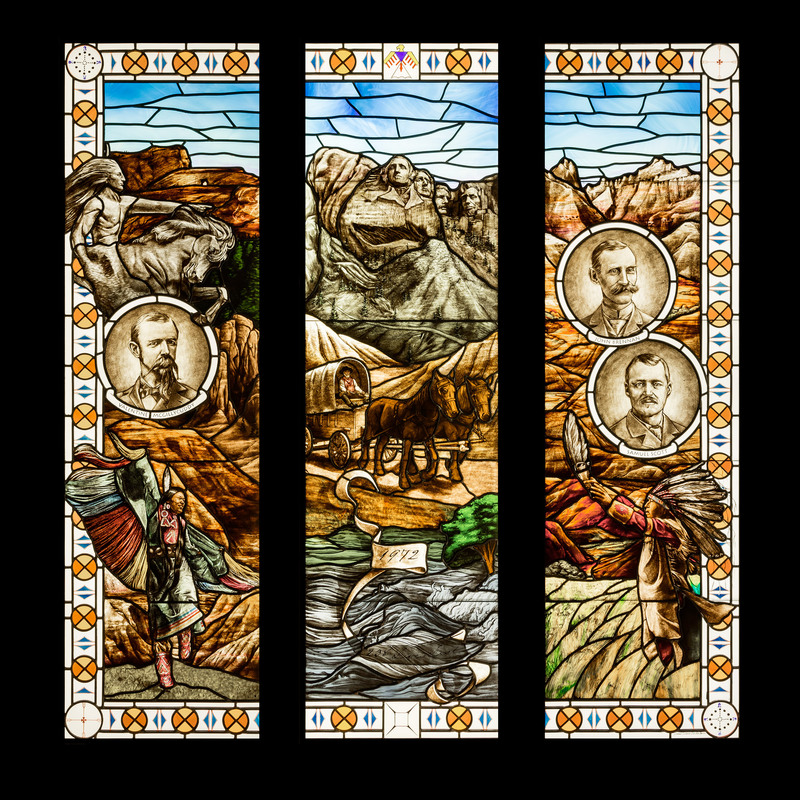 The new stained glass window commissioned for the Rapid City Public Library illustrates the story of the rich culture and historical development of South Dakota’s second largest city. 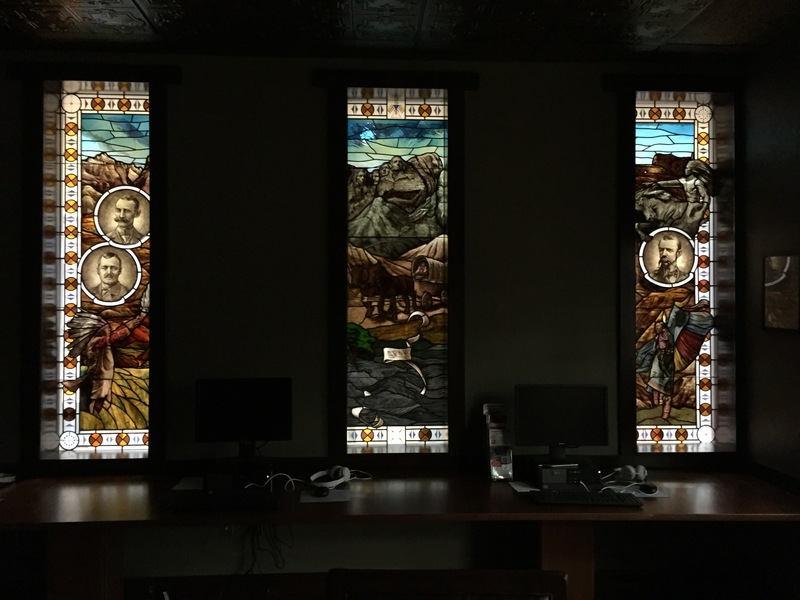 The window features John Brennan and Samuel Scott, pioneers and city founders. Also featured is Dr. Valentine McGillycuddy, a surgeon and controversial pioneer in the effort to build a sustainable relationship between the United States and the Native American people. The left panel contains a Black Hills Pow Wow costumed dancer and the Crazy Horse Memorial. The center panel features Mount Rushmore, a supply wagon from Hay Camp, (the original name of Rapid City) and rushing waters recalling the devastating flood of 1972. The right panel contains a Lakota Chief performing a traditional tribal ritual with the Badland mountains in the background. 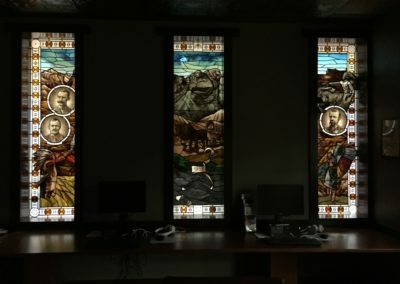 The 3 panels installed at the library.